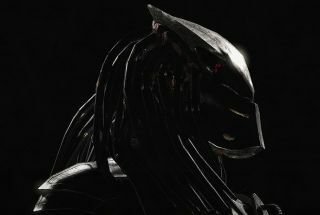 The Predator—The Predator—joins the Mortal Kombat X lineup tomorrow, for players who have sprung for the Premium Edition of the game or the Kombat Pack DLC. Everyone else will have to wait another week, but you can pass a little bit of that time (roughly 90 seconds of it) watching the intergalactic hunter in action in the new MKX gameplay trailer. Part of me thinks it's not really fair that the P-Man gets to use wrist blades, a spear, and a shoulder-mounted laser in what is ostensibly a fistfight. It's not that far out of line, I suppose—it's not like everyone else in the game is lacing up the gloves and memorizing the Marquess of Queensbury—but does he really have to use all three at once? That's some serious fatalizing right there. The kill on Jason at the end is a nice nod to the film, though. The Predator goes on sale for non-Kombat Pack owners on July 14.